Members of the state House Tax Committee had some sharp words Wednesday for Mayo Clinic. The criticism came in a committee hearing a day after Mayo's CEO suggested that Mayo Clinic would expand elsewhere if Rochester does not receive a half-billion dollar subsidy from the state. 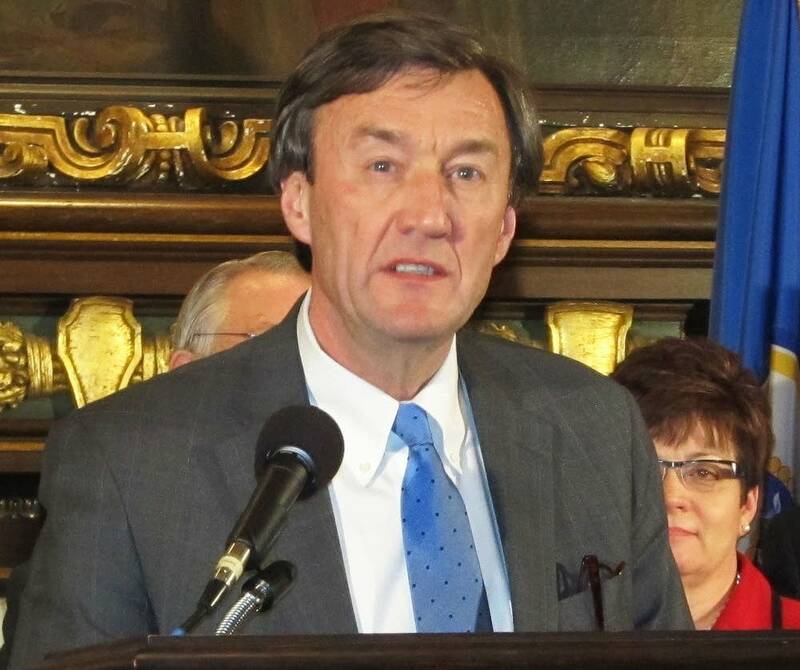 On Tuesday, Mayo Clinic CEO John Noseworthy delivered a speech at the National Press Club in Washington D.C., during which he said that other states would be eager for Mayo to expand there if Minnesota does not provide a taxpayer subsidy. This isn't the first time the veiled threat was made but the timing of it frustrated some members of the House Tax Committee. DFL Rep. John Lesch of St. Paul said he was "thoroughly disgusted" by the comments. "I know it's hard to come in here and you can't say this about your CEO. But I'll say it, it was a dumb thing to say. It was dumb, dumb, dumb," Lesch said. "This is not our first rodeo. We've had to weigh these kinds of considerations in the past and we look at it critically. These are taxpayer dollars." Lesch said the tax committee's job is to thoroughly vet each and every request for a subsidy. Mayo Clinic's Bradly Narr worked to downplay his boss's comments. He said Mayo Clinic is not looking to leave Rochester, but is trying to determine where to expand. He said he is focused on winning support from the Legislature and is not in the business of making threats. "I don't want to think, 'What if?' I cannot threaten this group and say 'If this, then that.' I'm not in that business. I want the Mayo Clinic to grow in Minnesota," said Narr. Other members of the committee also criticized Noseworthy's comments. But Rep. Greg Davids, R- Preston, said he was not troubled at all. "If you read what he said, he's just telling the truth. He's just telling the truth. He's just calling it the way it is. I happen to respect that," Davids said. "I don't understand what the big deal is. I think Dr. Noseworthy is just calling it the way he saw it. He says he wanted to emphasize that the Mayo Clinic is not threatening to leave Rochester." The back-and-forth discussion of Noseworthy's comments comes as the House Tax Committee chair, Rep. Ann Lenczewski, is working with Mayo Clinic and Rochester officials to revise their plan. The current proposal relies on tapping a portion of future income, sales, property and income taxes to pay for roads, bridges and other amenities in Rochester. Lenczewski doesn't like that plan, and suggested Rochester and Olmsted County should kick in more for the $585 million plan. Lenczewski said Mayo Clinic will get something, but the state won't pay for the bulk of the expansion. "I think most members want to support something but not the proposal as introduced on the House side," Lenczewski said. "I think they want to see things right-sized a little bit." Rep. Kim Norton, DFL-Rochester, suggested that changes to the plan are coming. She said some alternatives include having the city borrow for the improvements with the state providing a subsidy. She said Lenczewski is also outlining local taxes to pick up some of the tab. "(Lenczewski) mentioned the potential extension of the sales tax, the extension of tax abatement authority that could help as well as entertainment taxes and food and beverage and lodging," Norton said. "Not dictating to the city what they have to do but keeping the door open to things that they could do." A Minnesota Senate Tax Committee hearing on Mayo Clinic's bill is scheduled for Friday.